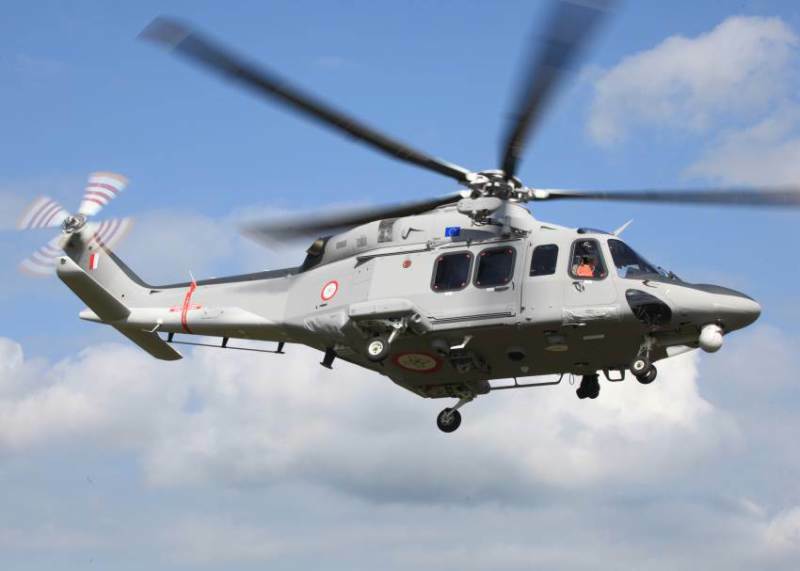 AgustaWestland announced on July 8 that the Armed Forces of Malta have placed an order for their third AW139 intermediate twin-engine helicopter. The aircraft will primarily be used to perform maritime border control missions. The best-in-class AW139 was selected following an extensive evaluation process thanks to its unmatched capability, performance and value for money characteristics. The overall fleet of three aircraft and a significant training package for pilots and technicians is part of the ongoing plan to strengthen the capabilities of the Armed Forces of Malta, who benefit from the European Borders Fund and Internal Security Fund Programmes. 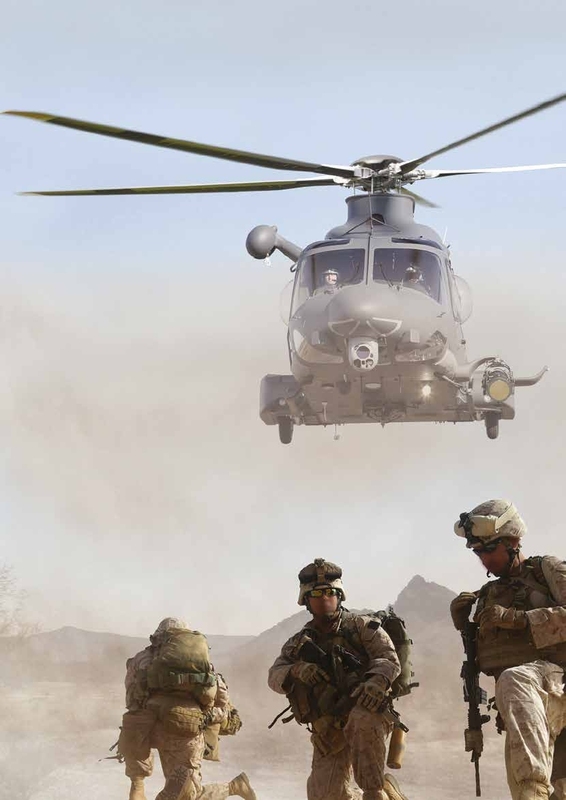 The introduction into service of the best and most modern helicopter for the task in its category is a major boost to national security and rescue operations. The AW139 is fitted with a state-of-the-art equipment package for maritime patrol and Search And Rescue (SAR) missions that includes a high-definition Forward-Looking Infrared imaging (FLIR) system, search/weather radar, cabin mission console, naval transponder, search light, satellite communication (SATCOM) system, a 4-axis autopilot with SAR modes, external rescue hoist and four bag floatation system. This state of the art intermediate twin-engine helicopter features the largest cabin in its category for greater mission flexibility and comfort. 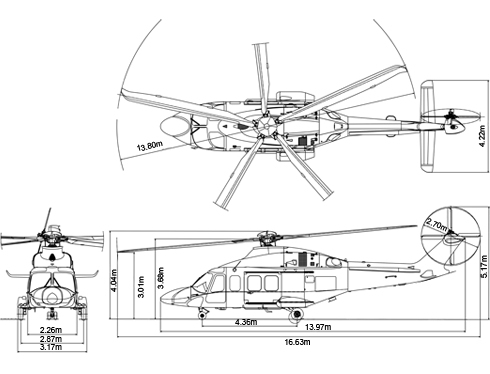 Litter layout options range from two to four in a medical evacuation (MEDEVAC) configuration. Advanced technology and impressive One Engine Inoperative (OEI) performance make the AW139 the intermediate twin-engine helicopter of choice. Two powerful PT6-67C turboshaft engines with Full Authority Digital Engine Control (FADEC) minimize pilot workload and offer high power margins for maximum safety. Over 900 AgustaWestland AW139 helicopters have been sold to more than 220 customers in over 70 countries worldwide. 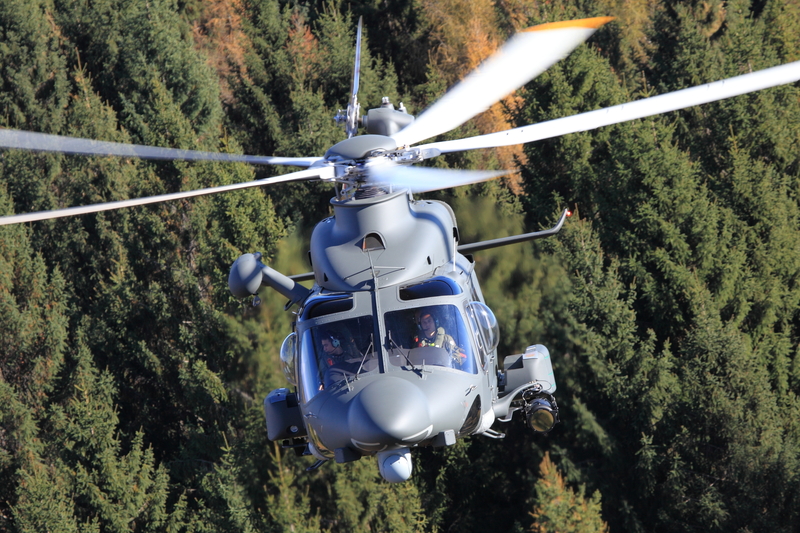 More than 730 AW139s have been delivered. The AW139 has been selected by and is now performing maritime/border patrol missions with a large number of operators in countries such as Italy, UK, USA, Spain, Estonia, Japan, Republic of Korea and Malaysia to name a few. The AW139, as the market leader in its class, is also widely used for offshore transport, passenger transport, law enforcement, emergency medical transport, VIP transport and firefighting. The AW139 helicopter is part of AgustaWestland’s family of new generation helicopters that also includes the AW169 and AW189. These helicopters all possess the same high-performance flight characteristics and safety features whilst sharing the same common cockpit concept and design philosophy. This approach facilitates synergies for operators of these models in areas such as training, maintenance and support. It is said in the Jane’s Defence Weekly that AgustaWestland is offering the AW139M to the Slovak Ministry of Defence (MoD) to fulfil an urgent requirement to replace Russian-made Mil Mi-17 ‘Hip’ medium transport helicopters. The AgustaWestland announcement comes on the heels of a U.S. Department of Defense (DoD) proposal made on 12 January to sell the Slovak MoD 9 Sikorsky UH-60 Black Hawk medium helicopters for €300 million ($347 million) including spare parts and training via the Foreign Military Sales programme. «AgustaWestland is ready to make an offer to Slovakia with the AW139M and, of course, associated training and support», AgustaWestland spokesperson Geoff Russell told IHS Jane’s. 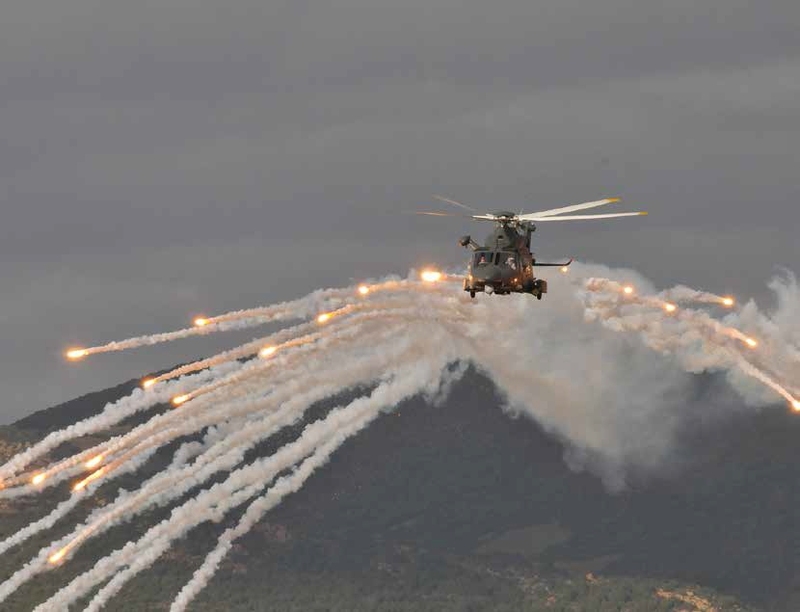 «The offer will be very competitive if compared to the €300 million Sikorsky UH-60 Black Hawk offer. We are sure that, with a much lower cost, the AW139M perfectly fits the country’s requirement», Russell added. Slovak defence minister Martin Glvac said on 12 January that while the MoD is taking the U.S. DoD offer very seriously, it will also consider bids from other helicopter manufacturers. Glvac also made it clear that an ultimate procurement decision would be made by the Slovak government and Slovak Security Council. According to Jiri Kominek, Jane’s Defence Weekly correspondent, over the next six years the Slovak MoD is intending to replace 14 Mil Mi-17 medium transport helicopters that are rapidly nearing the end of their service life and proving expensive to operate and maintain. Furthermore the ongoing armed conflict in neighbouring Ukraine has prompted the Slovak MoD to not only modernise its armed forces with equipment in service with other NATO countries but also phase-out Russian-made legacy platforms over concerns of the availability and costs of spare parts. 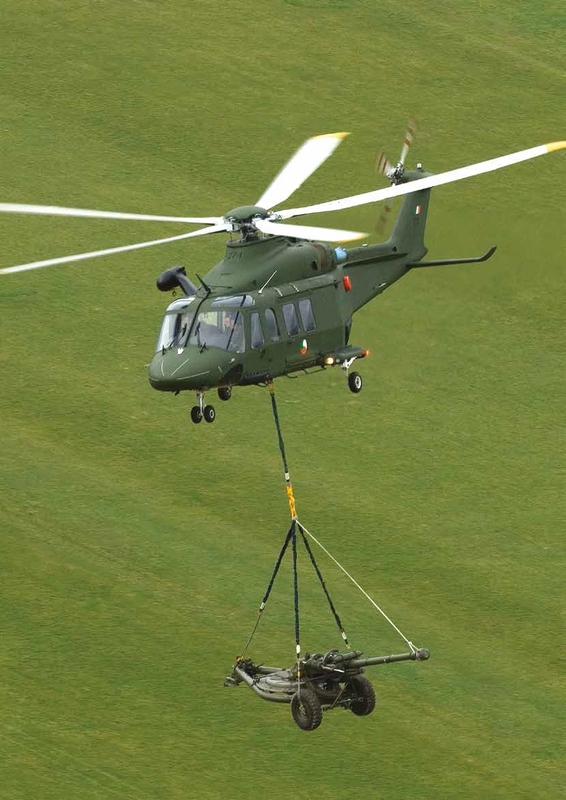 The AW139M is the militarised version of the AW139, a new generation intermediate twin-turbine helicopter setting the standard against which all intermediate twins are now measured. 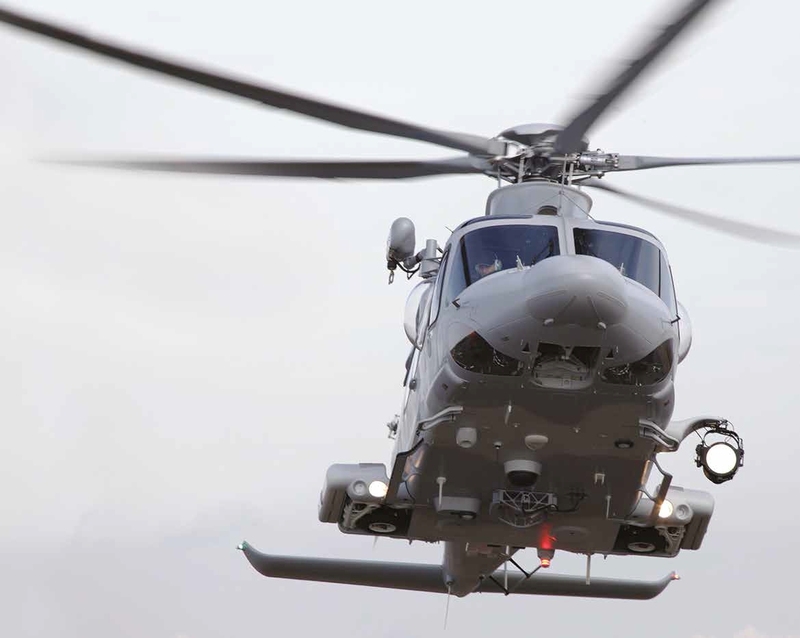 Building on the considerable worldwide success of the AgustaWestland AW139, the AW139M has been developed to meet the specific requirements of military, homeland security and government users. The AW139M can be used for a wide range of applications including Surveillance, Utility/Troop Transport, Special Forces Insertion/Extraction, MEDEVAC (Medical evacuation)/CASEVAC (Casualty evacuation), SAR (Search and Rescue)/CSAR (Combat Search and Rescue), Command & Control, and Fire Support. Designed with inherent multi-role capability and flexibility of operation, the AW139M is capable of carrying up to 10 fully equipped troops or 15 passengers at very high speed in its large unobstructed reconfigurable cabin. Additional stowage is accessible both from the cabin and externally. Two large cabin doors enable rapid ingress and egress of troops and personnel. The AW139M provides the best power reserve of any helicopter in the intermediate twin-engine class. It fully complies with the latest stringent FAR (Federal Aviation Regulations)/JAR (Joint Aviation Requirements)/EASA (European Aviation Safety Agency) requirements in terms of performance and safety. Its Pratt & Whitney Canada PT6C-67C turbines together with a state-of-the-art 5-bladed main rotor deliver a high cruise speed, even in demanding conditions and at all weights. The AW139M has outstanding power agility and maneuverability, providing excellent handling qualities in a wide range of operating conditions including «hot and high». 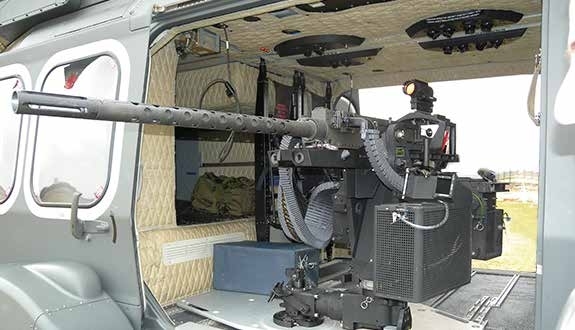 Leading edge technology includes a fully integrated avionics system, 4-axis digital AFCS (Automatic Flight Control System) with SAR modes, advanced NVG-compatible (Night Vision) cockpit, inlet particle separators and optional ice protection system that enable safe operation in day, night and all environments. 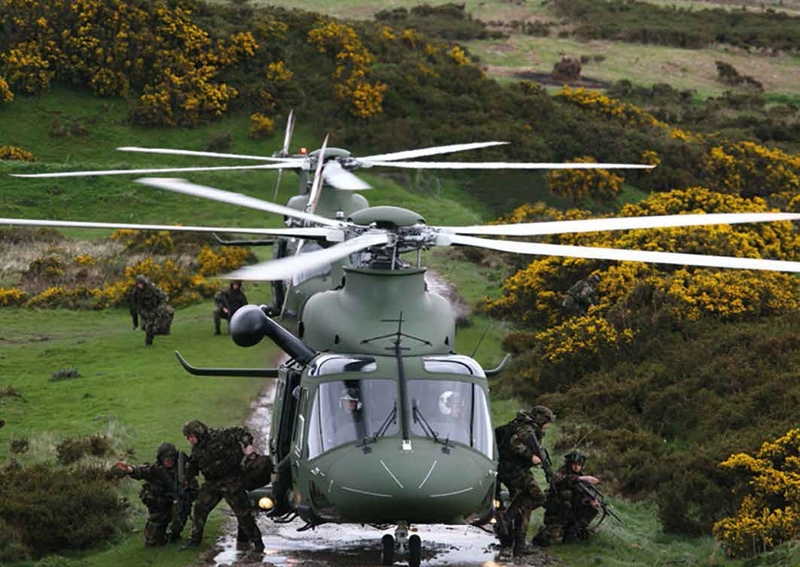 The AW139M can be tailored to meet specific user requirements utilizing a wide range of mission equipment kits including secure military V/UHF, HF and SATCOM radios, and heavy duty main and nose landing gear for operations from unprepared surfaces. As a result of the new design approach, the AW139M uses fewer components, benefits from integrated avionics and provides easy accessibility to all systems for simplified maintenance tasks.